The last time the Cubs won the World Series the year was 1908. The last time the Cubs won the World Series they played at West Side Park “bounded by Taylor, Wood, Polk and Lincoln (now Wolcott) Streets”. The original rooftop seating was on Taylor Street! My alma mater, UIC, now stands here. You could see Pilsen’s St. Procopius church all the way on 18th and Allport out towards left-center field! 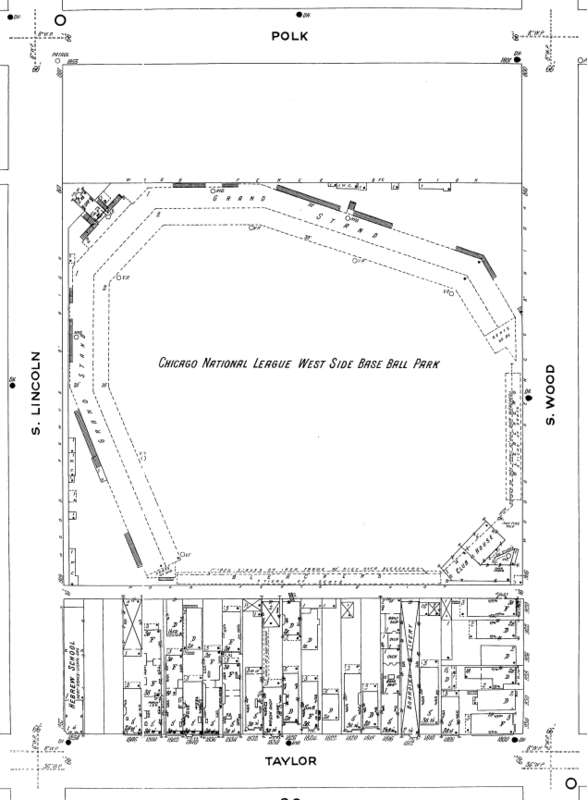 The phrase “way out in left field” came from this park… partially from the fact that left-center was so deep that one guy hit 4 inside the park home-runs in a single game, but mostly because Cook County Hospital’s mental institute was behind the left field wall. The bottom line is, patients could be heard yelling and screaming things at fans behind the left field wall. The last time the Cubs won the World Series their best pitcher was Mordecai “Three-finger” Brown. He mangled his hand in a farm-machinery accident. This gave him a great curveball. Brown’s most important single game effort was the pennant-deciding contest between the Cubs and the New York Giants on October 8, 1908, at New York. With Mathewson starting for the Giants, Cubs starter Jack Pfiester got off to a weak start and was quickly relieved by Brown, who held the Giants in check the rest of the way as the Cubs prevailed 4–2, to win the pennant. 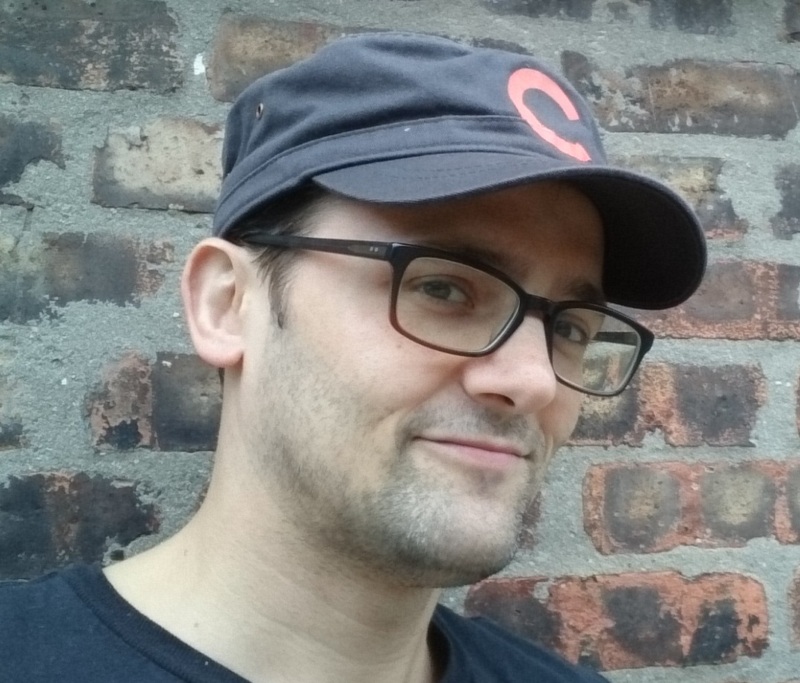 The last time the Cubs won the World Series they wore caps with short bills. (See 3 Finger Brown above.) I tried to find an official one in an attempt to borrow nostalgia from the unremembered nineteen-aughts. But mostly because at 35, I’m too old to have a modern ball cap emphasize the boyishness of my boyish good looks. I couldn’t find one. So I made my own. The last time the Cubs won the World Series even these elderly Cubs fans hadn’t been born. The last time the Cubs won the World Series was too long ago. I’m confused. 18th & Allport would be a mile behind home plate (SE), not beyond left-center field (NW)? Home plate is in the Northwest corner and center is in the southeast.